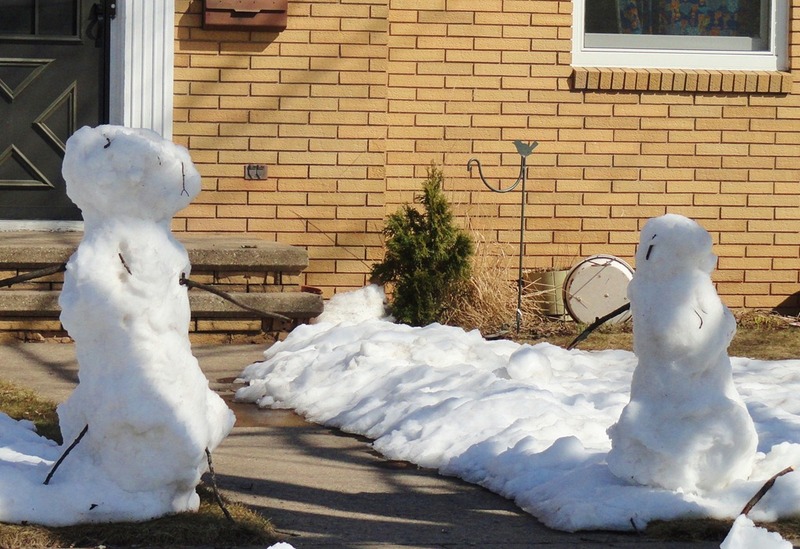 With the last snowfall about 10 days ago and the neighborhood children being on vacation,I notice a last ditch effort to make the last snowmen of the season. So I drove around the subdivision and snapped the results. 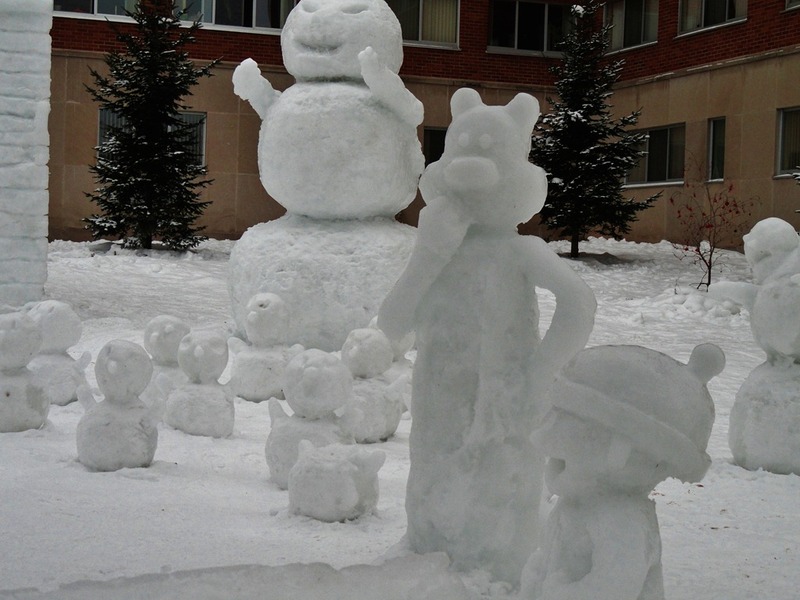 I decided that the snowmen fit into many categories and so I have dreamed up the Appleton Snowman Emmy Awards. The first three were nominated for “Hey Buddy, Christmas Is Long Over-Get Your Decorations Down!”. 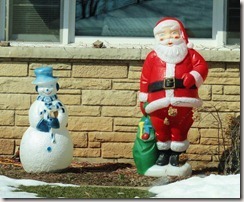 I think The snowman with the Santa side-kick win. 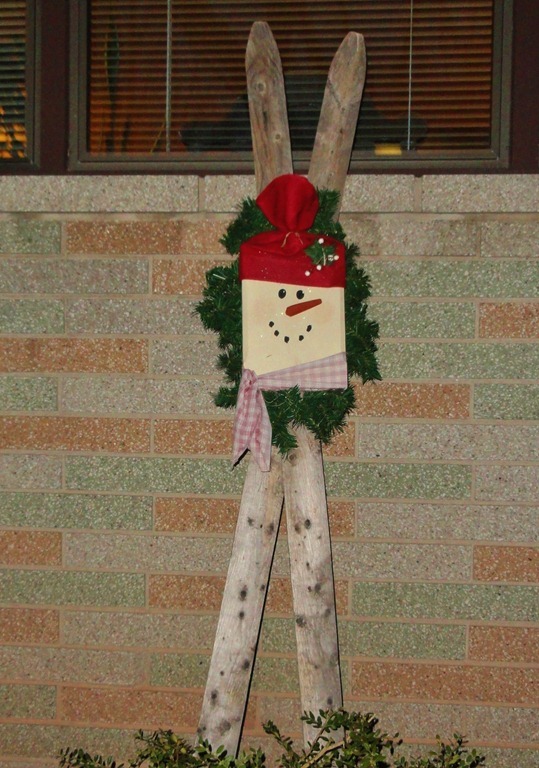 The next category only had one snowman. 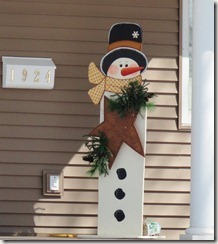 It was in front of Fire Station #5 just down the street, and falls into the “Preventative Snowman” category. 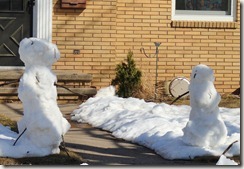 Since they were the only snowman, the firemen won by a landslide. 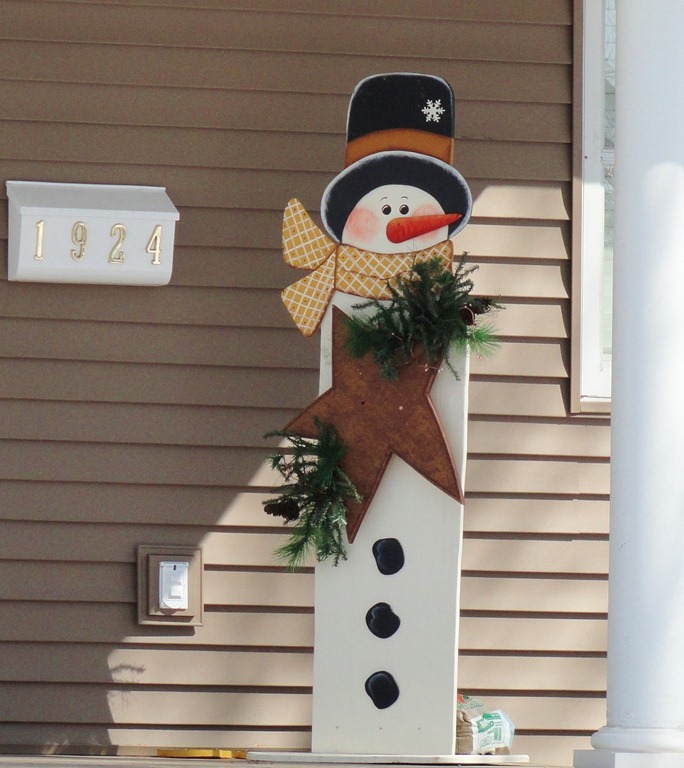 Following that, is another one snowman category, “The Guardian Snowmen”, who are at the end of the sidewalk daring anyone to walk up their sidewalk. Again, only one entry, so they also win. 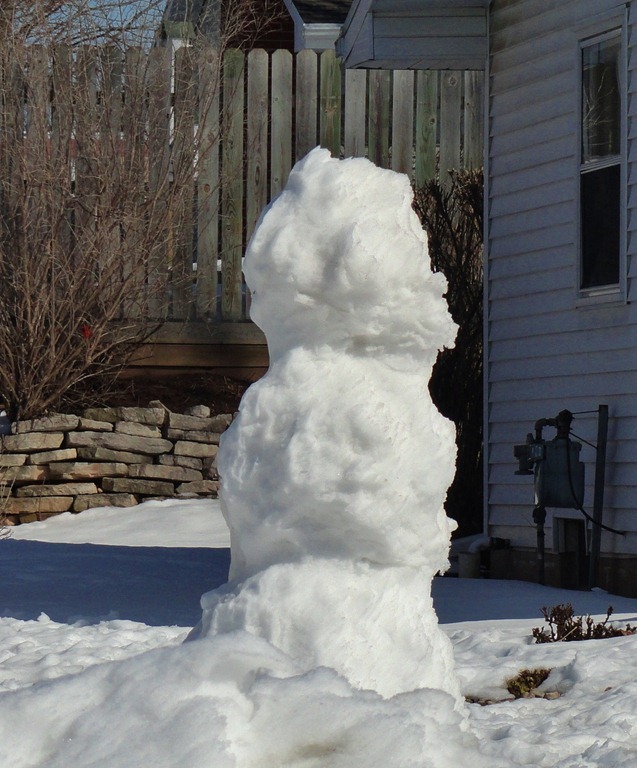 The next poor snowman is classified as “The Non Descript Snowman”. This poor sop has equal parts and no definition, as in face, arms, or clothing. A loser, but yet a winner. The next one is the “The Classic, Without Frills Snowman”. 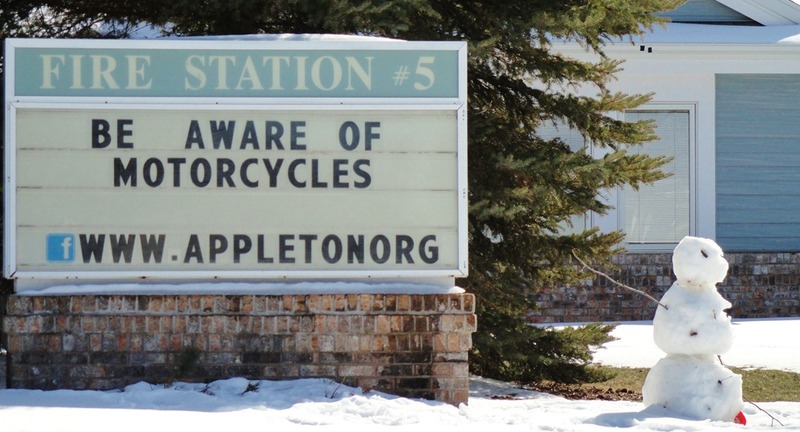 This one was at the end of my block. 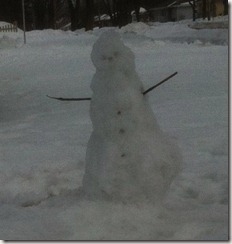 It won, due to no competition and because the kids who made him are cute kids who pass by my house every day on their way to school. 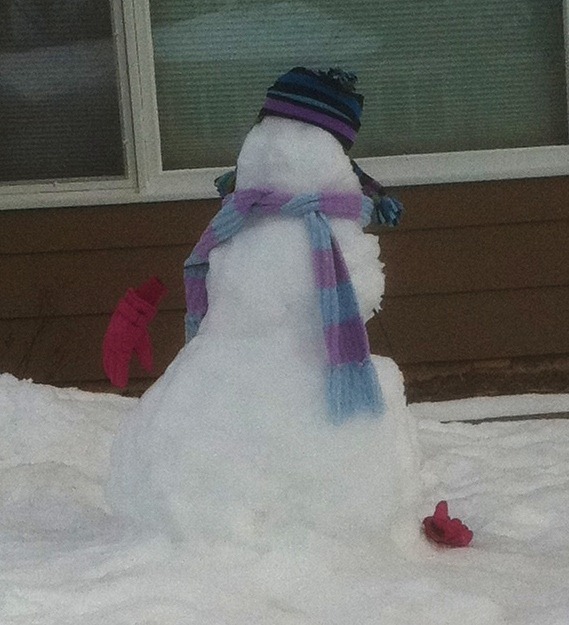 The next two are in the category of “Snowmen with Outerwear”. It was hard to decide which one was the winner, so I decided it was a tie (no pun intended). 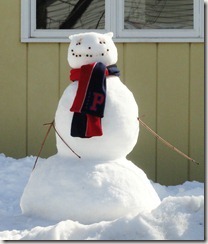 I find the charming face of the snowman with the “P” on its scarf, quite cute. 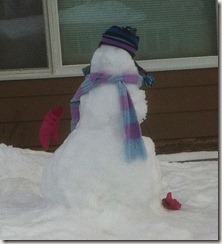 It even appeared to have ear tuffs. 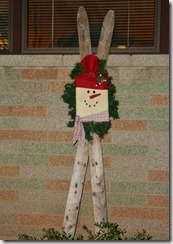 But yet the snowman with scarf, hat, and mittens was quite nice, as well. 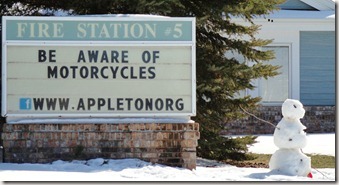 The last category, I actually did NOT find in my neighborhood, but in Houghton, during Winter Carnival. 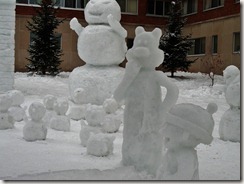 So that group of snowmen would have to fall into the “Collegiate Snowmen”. I think everything I saw won. 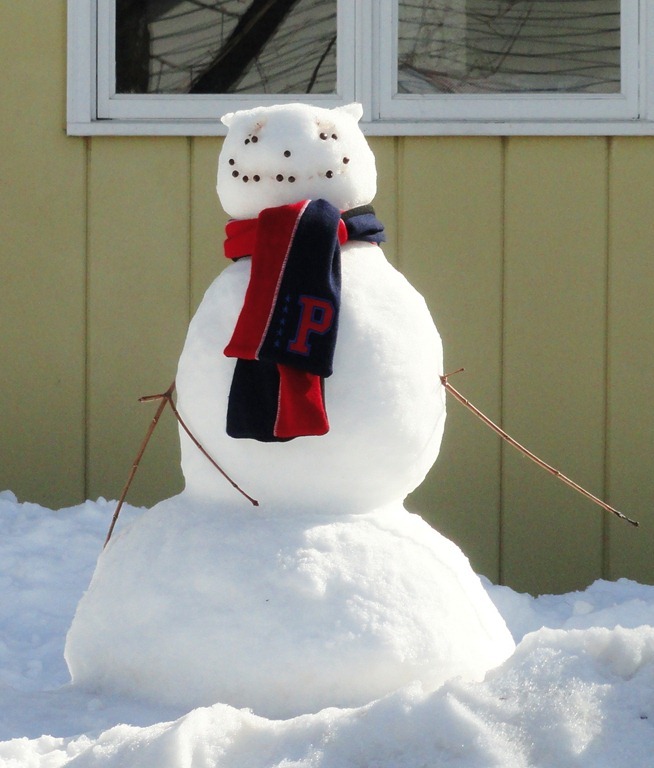 So, with the warm weather slowly descending upon the Midwest and with the last snowmen of the year made (I hope), I declare Spring is FINALLY HERE! AMEN!